Large 8″ x 8″ 90th birthday card made for a Sudoku fan using a variety of dies including; Cheery Lynn Designs – Lattice 1 Die – FRM114 for Sudoku grid, Marianne Design Collectables Men’s Wardrobe Die, Card Making Magic Die Sets Solid Alphabet and Numbers dies, Tattered Lace Happy Birthday (ETL128) die, and Tattered Lace Bunting 2018 (& Alphabet / Numbers) Craft Cutting Die Set 442670 for Sudoku numbers. Background stamped with various maps, cogs etc stamps and inked and coloured with distress inks. 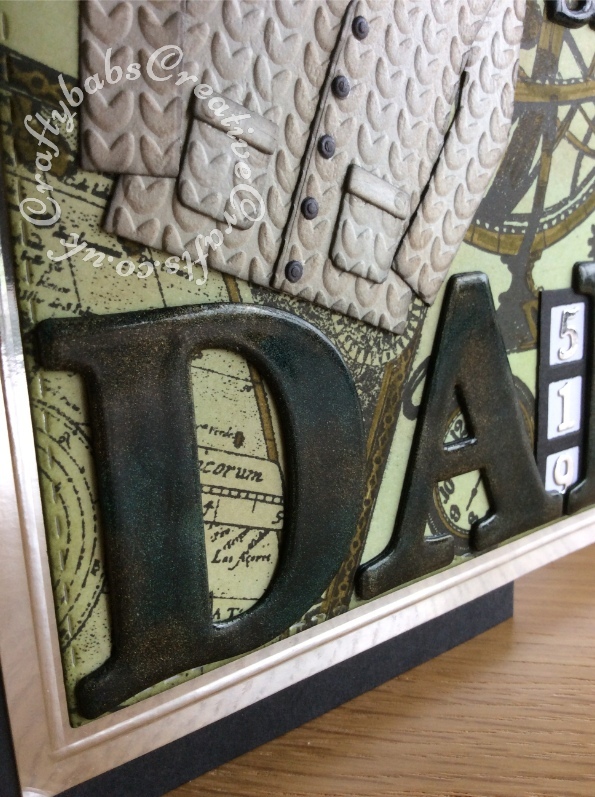 Large letters, numbers and sentiments triple embossed and mica powders added between layers.